Looking for white dog names male? Hi there! You must be looking for white boy dog names because you are about to get a lovely new dog yourself. That is very exciting, congratulations! Now of course this lovely new dog deserves a beautiful name. We can help! 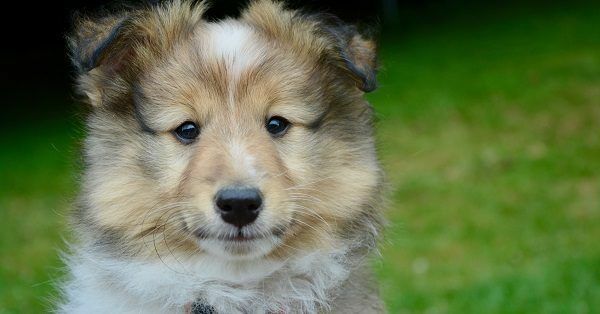 On 123Tinki.com we have our very own dog name generator that can help you find the perfect name for your dog, an incredible tool! Besides that we have many tips on what makes a good dog name and hope to inspire you with many examples of beautiful names. Check out our other pages! Disney dog names, top 10 dog names, French dog names… Anything you like, we have it! Our dog name generator can give you access into our over 40.000 dog names big database. Now of course you do not want to go through each name to find your perfect one and thanks to the generator you don’t have to. You will find a panel with filters on the side and this can help you tell the generator what you prefer. Based on your personal preferences, the generator creates a list of possible names. This could be male dog names for white dogs if you did it right. Select ‘male’ and ‘white’ (under dog type) to get the right list of boy dog names for white dogs! This way you can find anything you like, combine ‘female’ and ‘cute’ or ‘black dogs’ and ‘short’. Anything you can think of, it will be there. Good luck! Currently, there are about 1 billion dogs living on earth. Only 170 million of these are living amongst families, all the others are strays. To us, living in our modern western culture, this sounds very upsetting but not all cultures treat dogs the same way. In many cultures dogs are still used as working dogs or simply seen as food. After the 19th century, breeding dogs for the looks became more popular. This way many breeds have been created to standards of beauty. This also created a bigger variety of dogs and now all those different breeds are divided into different categories. These different categories can help you figure out what to expect of your breed, which can also help you in finding the right name. An example of such a breed group is the herding group, this is the group a German Shepherd belongs to. Maybe your dog is not a pedigree and you are still not quite sure what to expect. You can take a look at different groups your dog could be from and see what characterizes those breeds. Do not worry, the name you choose will definitely suit your puppy. After all, the way you raise your puppy also does a lot for his character. Through the years there have also been many dogs that did something heroic or are still remembered to this day. For example the dog of William of Orange. William of Orange had a pug dog called Pompey. Pompey saved William of Orange when Spanish assassins tried to kill William in his sleep. The dog jumped and barked so William woke up. Another famous dog, maybe one of the most famous ones there is, is Hachiko. Hachiko was a Japanese Akita that walked his owner to the train station in Tokyo every day, when is owner returned from work Hachiko was there waiting for him. When Hachiko’s owner passed away, Hachiko kept waiting at the station. Day and night he sat there, until he died. Later, a statue of the dog was put in his place to remember Hachiko. Another dog that might not be so famous, neither did he do something heroic, is Diamond. Diamond was Isaac Newton’s dog. Once, Diamond knocked over a candle and almost destroyed 20 years of research by setting papers on fire. The words Newton spoke afterwards are incredibly valuable. Newton said ‘Oh, Diamond. How little do you know what you have just done.’ Something we can all learn from. Dogs are smart but some things are not comprehensible for them. One last, lovely example of a famous dog has got to be the story of Dutch dog Ricky. You might not know the story but he was famous for his heroic actions during the war. Ricky was trained to search mines in canals and once he got injured he stayed calm to not harm anyone else. Later, Ricky received the Dickin Medal, the highest British distinction an animal can receive. All white male dog names are a good choice and maybe you have gotten inspired already. When you own an all white dog it is of course lovely to give your dog a name that means white. For example Blanco, the Spanish word for white. This is lovely for you but your dog will not realize the beauty of his name. No matter what you pick, a dog perceives his name differently than you do. To us, a dog’s name is his and we attach an emotion to this. To your dog his name is simply a way for you to tell him you want his attention. It is simple communication. Dogs are smart enough to understand that after their name, a new command will soon follow. Besides that, they can still feel the emotions you are feeling. If you are sad and call your dog’s name, your dog will be able to understand what you are feeling. This is what makes dogs such good friends. 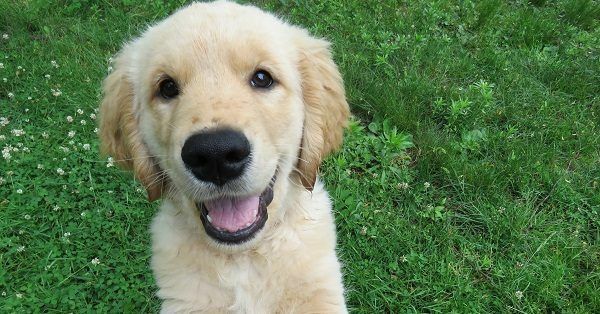 The best thing about giving your dog a name with a beautiful meaning is of course that it sounds beautiful to you, each and every day of your dog’s life. Which is one of the most important things when it comes to dog names. You have to love it. Besides that, the name will often be a bit more unique and that is very beneficial as well. A more unique name will give you the chance that not every dog in your neighborhood has the same name as your dog. Another thing is that you will always have a good subject to talk about with other dog owners you meet in a park! Another thing that is an important aspect of the dog’s name is the way it sounds. Names with harder sounds are often perceived better by dogs. For example a name with an ‘s’ is good, because the ‘s’ is often said loudly. This also counts for names ending in ‘a’ or ‘ey’, they work good as well. It is good to think about this. Good names for white boy dogs could be one of the following list! Of course any other name for your white dog is fine too, remember that you have to love it! One last thing we would want you to remember is that a dog’s name should never be too long. Whether you do look for good names for white male dogs are you are looking for something else. The name should not be too long. Think of a name that is one or two syllables long, preferably. This is because the longer the name is, the harder it will be for you to call out loud and the harder it will be for your dog to understand. A good thing to do when you have a list of possible names is to call the names out loud. Make sure you are able to say the name clearly and check if it sounds fun! Maybe you are able to call a long name perfectly but remember that when your puppy endangers himself and you want to warn him quickly, you will easily shorten the name. Calling your dog Alexander one day and Alex the next is very confusing, especially for a young puppy. Now that you have found the perfect name for your new dog, or at least know a bit better what to look for, your time together will start. When a new dog comes to live with you, in your home, he will need to learn your rules. This counts just as much for a new older dog as for a puppy. Is it your first time getting a dog? Or do you feel like you could use some tips on raising a dog? We have created our own online puppy training, to help you. It is created with help of 3 dog experts and will be available to you 24/7 after purchase. It contains many step-by-step guides, complete exercises, lots of tips and of course we will answer some frequently asked questions on lots of different subjects. Give your puppy and yourself a good start! You can check out our online puppy training here.